ClearWater Tech, LLC offers a unique family of Clean-in-Place, CIP Panel-Mounted, and Mobile Ozone Systems that provide winery facilities with superior surface sanitation, bottle & barrel washing, potable, and wash down water sanitation. Ozone is a proven sanitizer used in the winery process. It allows the wine maker to produce a more sustainable and desirable product by means of: saving water, energy, and controlling bacteria, molds, and other microbes. The Clean-in-Place (CIP) Systems are wall-mounted, and deliver plenty of dissolved ozone for disinfection and odor control applications. They are affordable, easy-to-install, do-it-yourself installations that require only simple tools, an electrical outlet, a clean water supply, and a wall to mount the system. The Clean-in-Place (CIP) Panel-Mount (PM) Systems provide complete ozone delivery in an all-in-one wall-mounted package. Dissolved cold-ozonated water can be plumbed to multiple points-of-use throughout the facility providing disinfection for the winery facility. The C1 Mobile Disinfection Cart provides ozone disinfection for surface sanitation. The cart is best when you require ozone sanitation in multiple locations within a facility, or when you simply want the convenience of mobility. It's designed with low center of gravity, well-balanced, and a small footprint. Wash down floors, walls, doors, equipment, rinse barrels, bottles, and more. Contact ClearWater Tech for more information today! The C1 Mobile Disinfection Cart provides ozone disinfection solutions for surface sanitation. Wash down floors, walls, equipment, rinse barrels and tanks with the push of a button. Easy to maneuver, the cart replaces traditional hot water and harsh chemical surface sanitation and provides safe sanitation on contact. 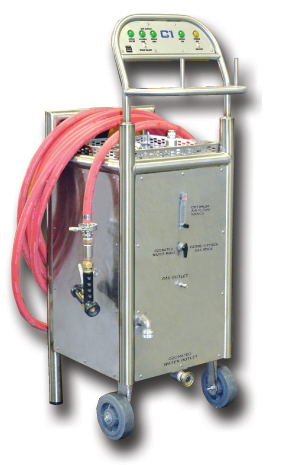 Plus, the C1 Mobile Cart comes standard with a separately controlled ozone gassing feature. This supply of ozone gas offers you greater disinfection options and is typically used to gas and preserve stored barrels instead of using Sulfur Dioxide. Use ozone gas to help disinfect sealed containers or tanks, and as a part of your environmental disinfection protocol. The CIP20 is a compact, plug-and-play system that delivers dissolved ozone for a variety of disinfection and odor control applications. Use for surface sanitation, wineries, breweries, hydroponics, to fishing vessels, and water features. Dimensions: 10.55″ h x 17.12″ w x 2.57″ d, 5.4 lbs. The CIP260 system is designed for clean-in-place and hard surface cleaning applications. Producing ozone enriched water, it features the CD12/AD ozone generator with built-in air dryer, flow meter/vacuum gauge assembly with vacuum switch, injector manifold, check valve, and vacuum break (backflow prevention). ClearWater Tech offers the CIP800 system for clean-in-place and surface cleaning. Complete disinfection without chemical residue throughout the facility. Applications include wineries, breweries, seafood cases, fishing vessels, and more. The CIP1500 (clean-in-place) for surface sanitation allows for universal power input and produces fifteen grams per hour at five percent concentration by weight (5%), with oxygen feed gas. The new drive circuitry of the CIP1500 utilizes the Self-Resonating Technology (SRT), which allows the system to automatically adjust for pressure, flow, and other potential current variations to optimize ozone output and the systems electronic stability. The CIP3000 is a complete wall-mounted ozone system providing ozone-enriched water for clean-in-place and hard surface cleaning applications. Designed with a System Information and Diagnostics (SID) LCD display, providing a seamless user interface to control and monitor ozone production and system diagnostics, and can be displayed in various languages. The CD3000 allows for universal power input and produces thirty grams per hour (30g/h) at five percent concentration by weight (5%) with oxygen feed gas. Jim Crooks, of Barrelworks/Firestone Walker Brewing Company, discussing the many benefits of using a C1 Cart in his brewery. Join ClearWater Tech, leading provider of ozone disinfection systems, at the WiVi Central Coast Conference and Trade Show, March 13, 2019 at the Paso Robles Event Center. We invite you to visit us in Booth 131 and learn more about ozone enriched water as a cost effective, proven sanitizer used in the winery process. Come see our turn-key Wall-Mount System, and popular C1 Mobile Disinfection Cart on display designed for surface sanitation. Contact ClearWater Tech today for more details! San Luis Obispo, CA, January 8, 2019 – ClearWater Tech, LLC, manufacturer of ozone sanitation systems for the winery industry, will be exhibiting at the 2019 Unified Wine & Grape Symposium being held January 30th & 31th at the Sacramento Convention Center. ClearWater Tech (booth 503) will be showcasing their wall-mounted and mobile sanitation systems for safe and efficient surface sanitation for the winery facility. The C1 Mobile Ozone Disinfection Cart delivers ozone-enriched cold water for clean-in-place and surface sanitation at the rate and concentration you need. Wash down floors, walls, equipment, rinse barrels, tanks, and any surfaces with the push of a button. Easy to maneuver, and best used for multiple uses in the facility, the C1 Cart has become one of most popular purchased items. The CIP260 is a wall-mounted solution for clean-in-place and hard surface cleaning applications. Producing ozone enriched water, it features the CD12/AD ozone generator with built-in air dryer, flow meter/vacuum gauge assembly with vacuum switch, injector manifold, check valve, and vacuum break (back flow prevention). Read Janice Cessna's article, "Don't Waste It", in Vineyard & Winery Management Magazine, including "Ozone as a Winery Disinfection Tool" from ClearWater Tech Sales Manager, Marc DeBrum. Learn about the benefits, cost advantages and role ozone technology is taking in the wine industry. Preserve the integrity with ClearWater Tech Ozone Solutions! Watch the video below for more information. ClearWater Tech, leading provider of ozone disinfection systems for the wine industry,will be exhibiting at WIVI Central Coast Trade Show and Conference, March 21, 2018, at the Paso Robles Event Center. Visit us in booth 131 for special pricing and learn more about our unique family of CIP and surface disinfection systems for winery applications including our wall-mounts, panel-mounts, and mobile ozone solutions for superior disinfection throughout the winery. Take the risk out of by-product contamination by using the planets strongest, and safest oxidizer to assure microbe-free surfaces without leaving behind off-tastes, odors and residues, preserving the integrity of your wine. Wash down walls, floors, equipment, rinse bottles, barrels, and more. Visit ClearWater Tech at Booth #505 at the 2017 Unified Grape and Wine Symposium in Sacramento. They will be showcasing their easy-to-install wall-mount and mobile disinfection systems for winery disinfection. Don't miss their Special Show Pricing! ClearWater Tech is proud to be the supplier to Treasury Wine for their ozone disinfection needs. Treasury Wine Estates (TWE) is one of the world’s largest wine companies, listed on the Australian Securities Exchange. Be our Guest for a Lunch & Learn Presentation with local Ozone Manufacturer, ClearWater Tech Ozone, at Refugio Ranch Vineyards in SLO! 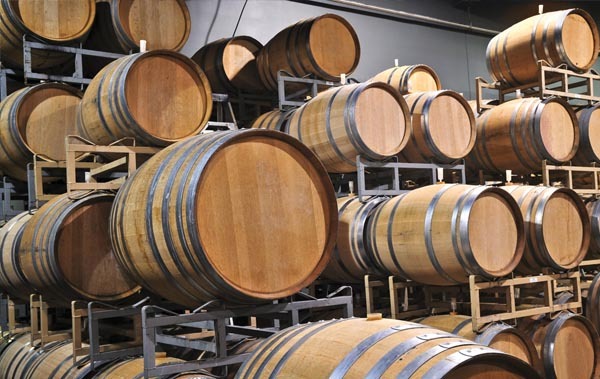 Join ClearWater Tech, 30-year leading designer and manufacturer of Ozone Disinfection Solutions for the Winery and Brewery Industry, and learn about the benefits of ozone as a safe, organic solution that can replace traditional or harsh chemicals for your facility. There will be an educational session, Q&A, product demo, and lunch on us! The event is FREE, but seating is limited, so please RSVP by Friday, August 18th. For more information call Brian Nava at 805-546-2331. To register, send an email to Brian at bnava@cwtozone.com. 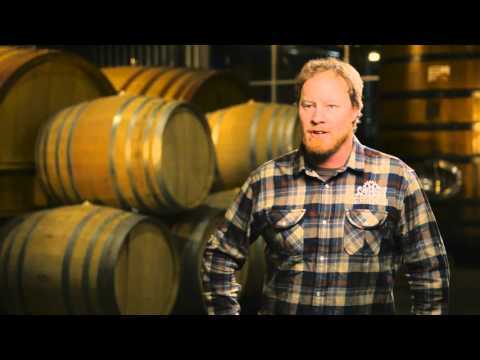 Watch our winery video for more information! FDA and USDA approved, ozone is the most powerful oxidizer and disinfectant that can safely be used and is commercially available for the control of bacteria, molds, and other microbes. It is far more efficient in disinfection than hot water, caustic chemicals, or acids. Further, ozone is generated on-site reducing the need for handling and storage of such chemicals. ClearWater Tech donated a C1 Mobile Disinfection Cart to the University of California, Davis in 2016. The Brewing Science program along with the Viticulture and Enology Departments will use the cart as part of their beer and wine curriculum and research in their beer and wine making process. UC Davis Extension’s brewing programs are the only North American programs accredited by the prestigious Institute of Brewing and Distilling in London. ClearWater Tech has also donated Mobile Carts to California State Polytechnic University, San Luis Obispo, and California State University, Fresno. ClearWater Tech, LLC. President, Cameron Tapp, is pictured on the far right. Click here for more information or call us today for a FREE Demo at 800-262-0203 or 805-549-9724! "Don't Waste It - Wineries Incorporate Effective, Wastewater Management Practices"
ClearWater Tech publishes numerous articles, case studies, and technical papers throughout the year in regard to ozone's use in the winery. 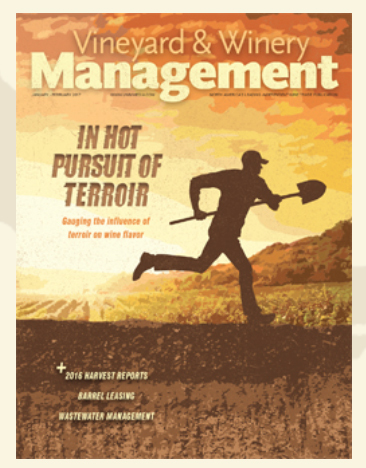 Read Janice Cessna's article, "Don't Waste It - Wineries Incorporate Effective, Wastewater Management Practices, in this month's Vineyard & Winery Management Magazine, including an excerpt from ClearWater Tech's Sales Manager, Marc DeBrum titled, "Ozone as a Winery Tool". Showcasing our Clean-in-Place Ozone Systems and C1 Mobile Disinfection Cart for Winery Surface Sanitation, stop by booth 303 and pick up our NEW Winery Brochure and get details on a system for your winery. See you there! Get a $1,000 off any purchase of a C1 Mobile Ozone Disinfection Cart at the show in January 2017. Call us today for a details and schedule a FREE demo 800-262-0203 or 805-549-9724! We will be showcasing our Clean-in-Place Ozone System along with a C1 Mobile Disinfection Cart for Winery Surface Sanitation. Stop by the booth and pick up our new Winery & Brewery Brochure and get details on a system for your winery. See you there! Get a $1,000 offany purchase of a C1 Mobile Ozone Disinfection Cart at the show in January 2017. Call us today for a details and schedule a FREE demo800-262-0203 or 805-549-9724! ClearWater Tech completes a NEW schematic drawing for your Winery or Brewery. ClearWater Tech offers a unique family of affordable stationary and mobile ozone systems that provide superior disinfection for your winery needs. And now we have completed a diagram the shows all the locations you can use ozone in your facility. ClearWater Tech Welcomes NEW Customer Refugio Ranch Vineyards to our List of Notable Installations. Refugio Ranch Vineyards, of Los Olivos, installs a newly designed three station ozone system for surface sanitation. "The C1 Mobile Cart was a great investment for the winery. 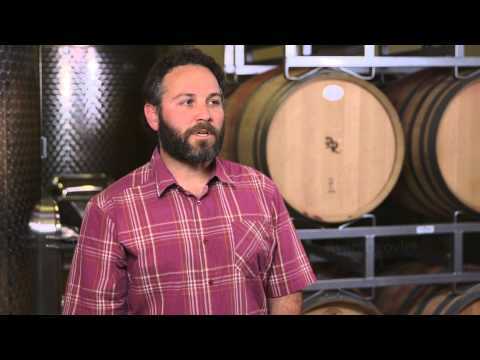 Fantastic and easy to use for disinfecting tanks, barrels, floors, and drains", says Ryan Deovlet, winemaker at Refugio. Watch our winery video HERE. Fresno State is using the ClearWater Tech C1 ozone cart in their winery! 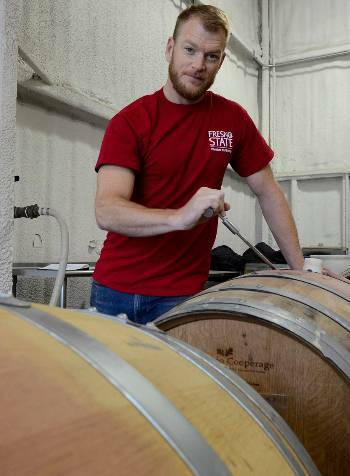 In addition to daily use for the wine making process the students and head wine maker Matt Brain are developing a series of research programs to advance the science of wine making and microbial control. To help us celebrate our 30th anniversary, ClearWater Tech is offering a $1,000 off a C1 Mobile Ozone Disinfection Cart for your winery sanitation needs. Wash down floors, walls, equipment, rinse barrels and tanks with the push of a button. Easy to maneuver, the cart replaces traditional hot water and harsh chemicals with safe sanitation on contact. Call us today for a FREE Demo at 800-262-0203 or 805-549-9724! ClearWater Tech is Celebrating 30 Years of Ozone Technology! ClearWater Tech is Celebrating 30 Years of Ozone Technology! To start the year off right, we'll be giving away a Free ZAP - Air Room Purifierwith every CIP260 purchase at the 2016 Unified Wine & Grape Symposium on January 26th. 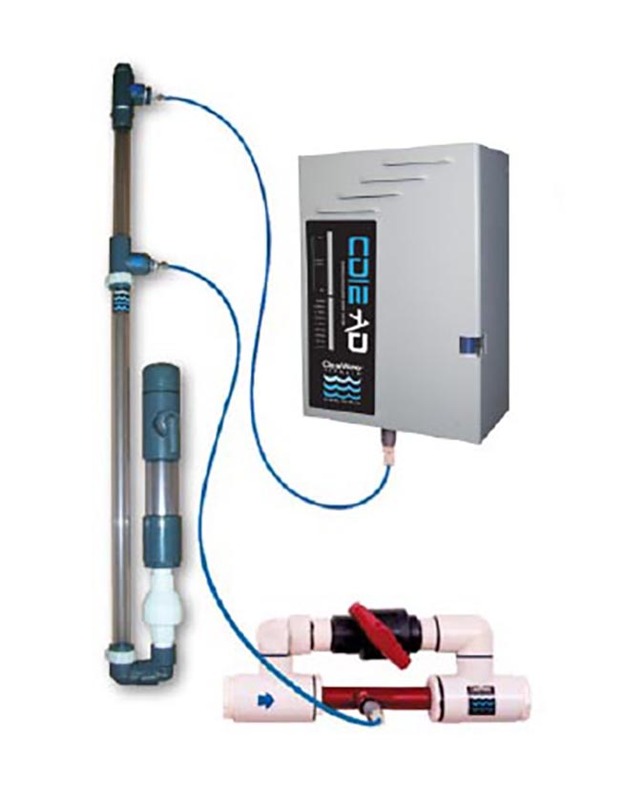 The CIP packages for wineries are easy to install, wall-mounted ozone systems that provide ozone enriched water for clean-in-place and surface cleaning applications. 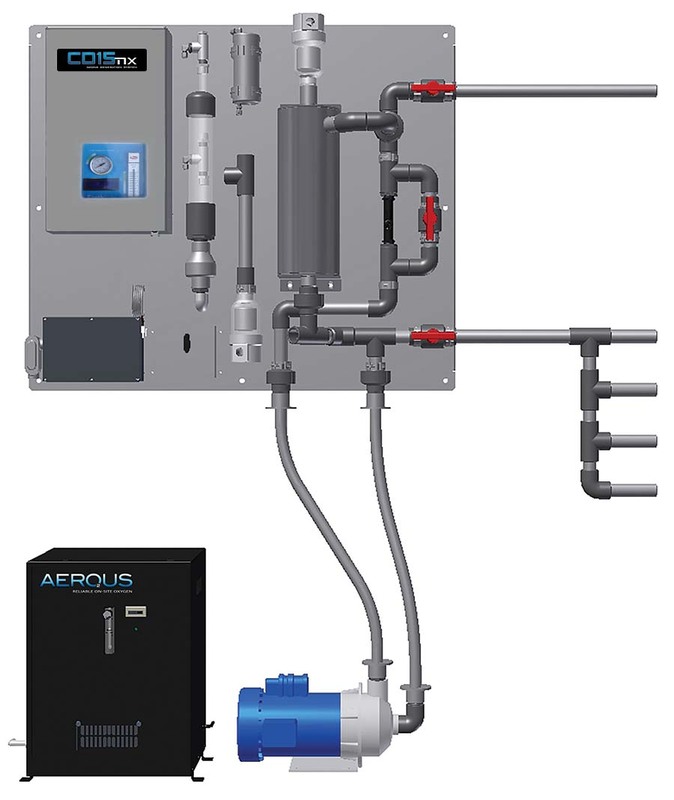 Includes: ozone generator, oxygen concentrator, controls, backflow prevention, and injection manifold to safely draw the ozone gas into the water. Jada Winery, Halter Ranch Winery, Chamisal Vineyards, Opolo Winery, Tobin James Cellars, Sierra Nevada Brewery Company, Terravant Custom Winery, Joseph Phelps Vineyards, Sterling Vineyards, Kynsi Winery, Insignia Vineyards, and Pretty-Smith Vineyards and Winery. See our recent list of Winery & Brewery Notable Installations Here! Delivering ozone-enriched cold water for clean-in-place and surface sanitation uses, the C1 Mobile Cart is powerful, effective, well-designed, reliable, safe for the environment, and easy to maneuver. Replacing traditional hot water and harsh chemical surface sanitation, the C1 Cart provides safe sanitation on contact. 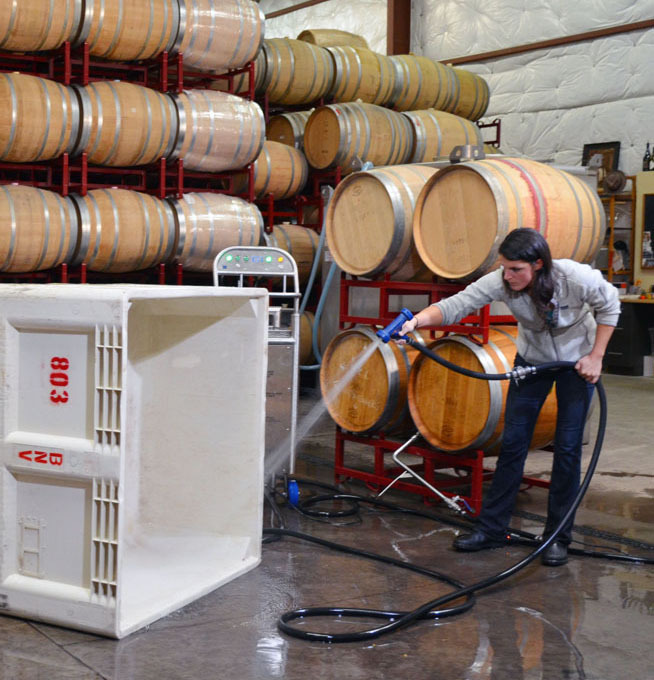 The C-Series of Clean-in-Place Systems from ClearWater Tech keep a facility sanitized, and offer a powerful alternative to thermal disinfection, chlorine, and other traditional sanitizers for surface sanitation in your winery or brewery. Easy to install, wall-mounted, stainless steel ozone system packages providing ozone-enriched water for superior water sanitation. The Clean-In-Place (CIP), Panel Mount (PM) ozone systems, from ClearWater Tech, provide complete ozone delivery in an all-in-one wall mounted package. ClearWater Tech has eliminated the need for onsite design, engineering, and bulk of the installation process. The CIP-PM Series is completely assembled with only the need for main power, oxygen concentrator, booster pump, and water connections to be made. From the CIP-PM products, dissolved ozonated water can be plumbed to multiple points-of-use throughout the facility providing disinfection for wineries, breweries, cideries, agri-food, dairy and many other surface disinfection applications. Compact and wall-mounted, the CIP-PM packages come with an ozone generator, ozone injection and contacting, ozone degassing and destruction, circulation loop to provide constant flow and pressure to the point-of-use.